What the heck is the RDS? Does your radio have a logo like this on it? If it does, you gots RDS! "RDS" stands for "Radio Data System" and it allows FM broadcasters to send far more than just an analog audio signal out over the air waves. Using a 57 kHz "subcarrier," stations can transmit digital RDS data for reception by RDS-equipped FM tuners. This technology opens up a whole new range of conveniences and help to the listener with RDS reception capability. RDS began in Europe where it is now very successful. 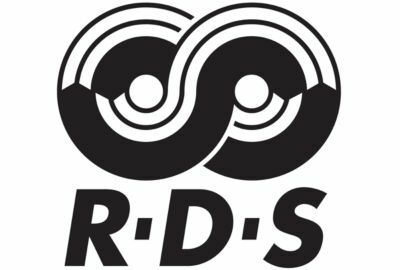 RDS is also increasingly popular in the Far East and now is making substantial headway in North America. In fact, over 700 radio stations in the United States, most of them in major metropolitan markets, now broadcast RDS information on a regular basis. Just what kind of additional information can you expect? That depends on what the broadcaster transmits and what your tuner can pick up. We’ve divided them into two categories: Static and Dynamic. Program Service Name (or PS for short): This simply displays a name of call letters instead of the broadcast frequency. With more and more stations identifying themselves with names like "STAR101," or "BOSS 104," it’s a no-brainer to see how even this one aspect of RDS service makes finding your favorite station much easier! Program Type Code (PTY): This identifies a particular type of broadcast (Rock, Jazz, Sports, Talk, News, Classical, etc.) So far, 24 categories have been defined and assigned but the RDS system has reserve capability built in so that emerging styles of broadcasting won’t be left out. The advantage here is that most RDS-equipped tuners let you scan available broadcasts by program type so you can find what you want quickly. Also, when a station changes its format (from Country to Easy Listening, for example), it’s very easy for that station to transmit a new RDS "flag" that will automatically update your RDS-equipped tuner. Program Identification Codes (PI): This is one of the rarely-seen "hidden" RDS features that lets you keep in touch with your favorite broadcasts even when you’re traveling. Technically speaking, PI is a four-digit hexadecimal code based on a station’s individual call letters. It tells your RDS tuner what signal it’s receiving at any given time (frequency, PTY code, etc.) You’ll see how RDS uses the PI information when you read Alternate Frequency (AF) immediately below. Radio Text (RT): This feature allows a broadcaster to send up to a 64 character message that could scroll across your radio’s display, things like sports scores, song titles, artist or album names, even advertisements. Every Radio is different, some show the RDS data as it’s transmitted, some make you press a TEXT button and some even make you stop the car to see the messages! Some will scroll our messages and some only show the first 25 characters and that’s all you get! In case you think this only works in Car Radio’s you might check your cell phone. If it has an FM radio chip, it will receive our station and probably decode our RDS messages! 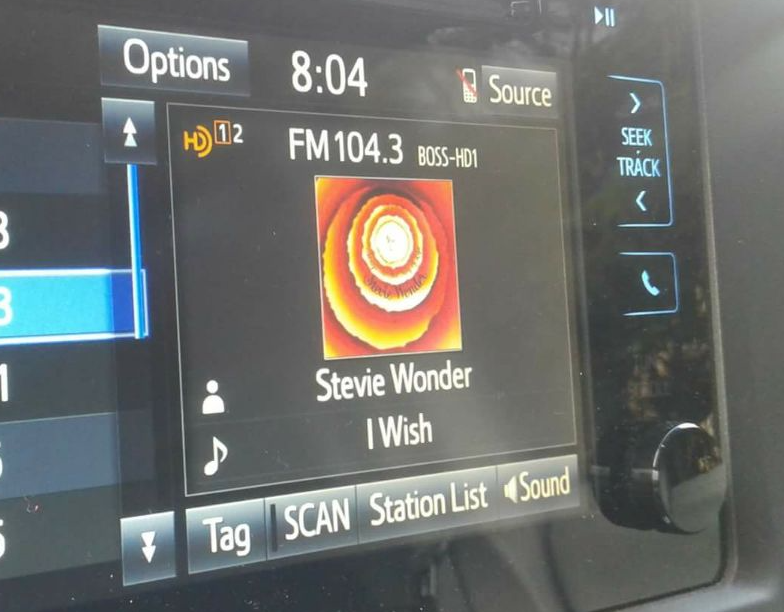 Look what your HD Radio can do! If your car came equipped with HD Radio and the Artist Experience, you can now receive BOSS104 in Crystal Clear, Super Stereo sound! Really! Plus we tell you what song is playing, who performed it and even send you Album covers! NO ONE ELSE EVEN COMES CLOSE! We've even stuck a new station playing some more of Albert Juan's favorite tunes on the HD-2 channel. Welcome to tomorrow! Every car dealer on Guam has a few vehicles with HD radio's in them so go for some test drives and see and feel how radio in the 21st century is going to sound.